Why choose the V100 Premium model over the basic one? 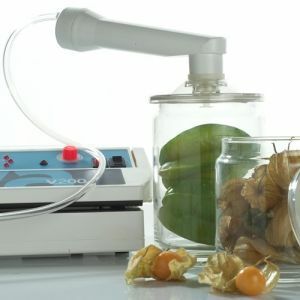 Well, it offers you extra features to help you work faster; a double sealing bar, the 'Lava Turbo Pump' which removes 35 litres of air per minute to a pressure of -0.9 bar, plus the unique 'Lava Close System' (magnetic lid). 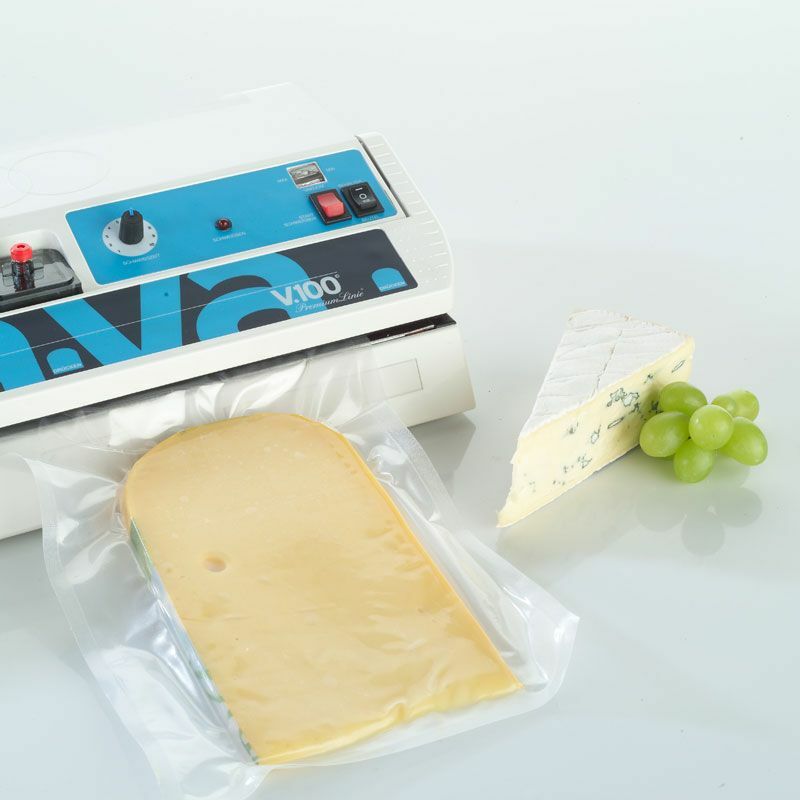 This external bag machine should be used with embossed vacuum sealer bags or continuous rolls up to a maximum width of 30cms (12"). When full vacuum is reached the pressure indicator will go from white to red, at which point engage the sealer switch. After just a few seconds the lid can be released. As well as the bags being used to keep produce fresh and to prevent freezer burn, they are suitable for use within Sous Vide water baths. An ideal way to prepare food to perfection. 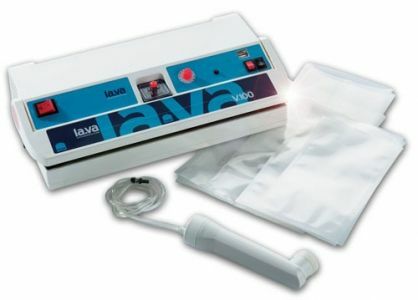 Using the pump attachment supplied with the V100 Premium allows you to store delicate foods for longer with one of the many Lava accessories. 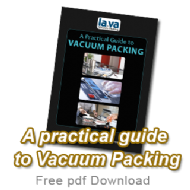 Why not store delicate foods in a Lava acrylic vacuum containers. Cheese biscuits are an ideal example - they will keep fresh and crisp. No unnecessary wastage! Or what about freezing your homemade soup? When ready the whole container and contents can be popped into the microwave to heat up. Lava has the answers to easy, convenient storage without wastage.